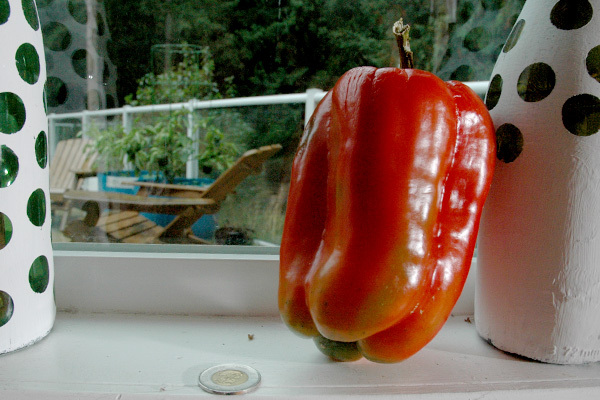 On the 49th Parallel, sweet peppers are usually grown in greenhouses. When it took until October to taste the fruits of my labour this year, it was no surprise. 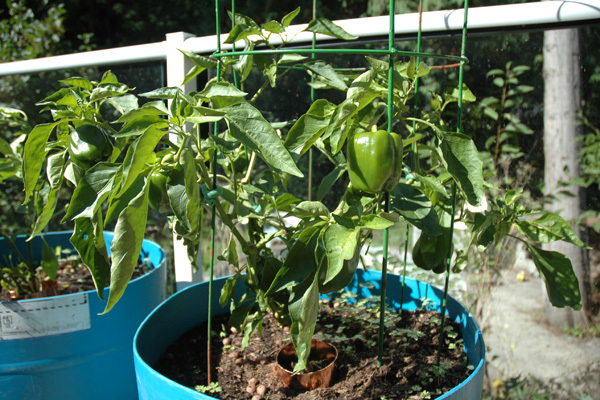 Even now there's more green ones that probably won't get to ripen on the vine. 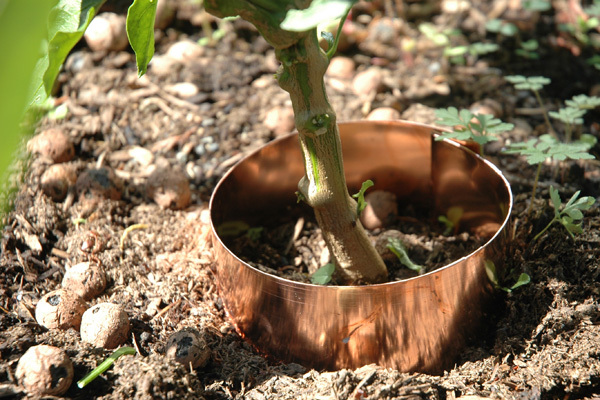 That copper ring was concocted to repel slugs ... and it seemed to have worked. They were eating everything! I caught one in the act in the middle of the night once, it was only an inch long. 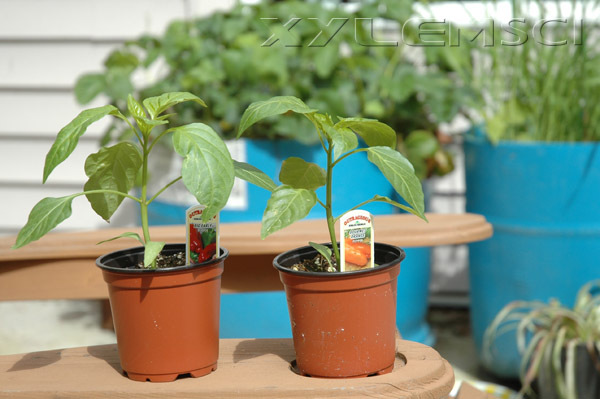 I'm planting a duo sweet pepper plants within my giant containers this year. Same great huge rootspace, new species.